New hospitality powerhouse the Billy Group continues its rapid expansion across Melbourne with the opening of its 12th location, Billy’s Central. One of Melbourne’s freshest new cafés, Billy’s Central has opened in perfect time to cater for the influx of shoppers set to infiltrate Melbourne during the busiest retail period of the year. Located in prime position next to the busy footbridge that connects Melbourne Central and Emporium, Billy’s Central has a warm, modern interior that offers an informal dining experience. The café’s two seated areas feature wooden accents and greenery flowing into the beautiful light-filled walkway. Known for creating crowd pleasing dining options, the Billy Group offers signature dishes across multiple locations alongside feature dishes exclusive to certain venues. 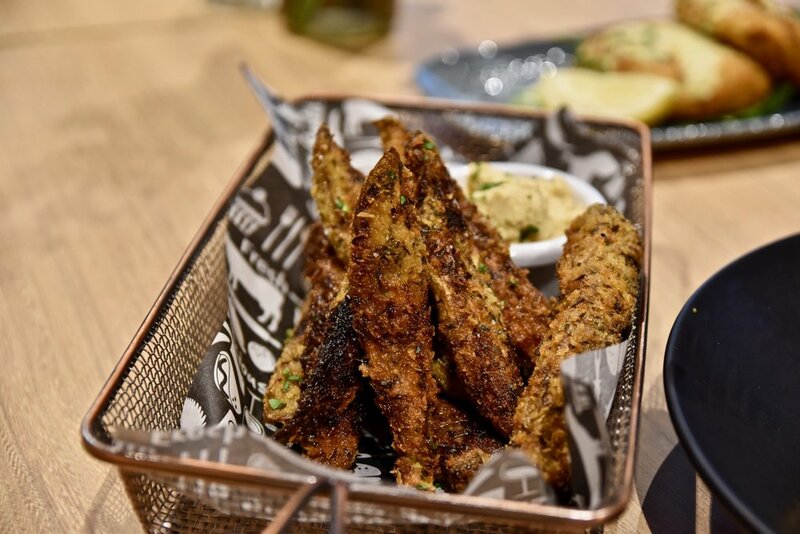 Our top picks from the menu include the luxurious chicken avocado pasta Greek style lamb as well as their crunchy eggplant chips served with hummus. This vibrant new café provides a haven for shoppers to rest and refuel over honest, generous food that is bang for your buck.